Instead, Le Pen didn’t even break 34% nationally. She won just two departments: Pas-de-Calais and Aisne in the north of the country. In Paris, the French political, administrative, financial and cultural capital, she won just 10.3% of the vote. Le Pen’s performance fell so short of hopes and expectations that she now hopes to rename her party before next month’s parliamentary elections and could face internal questions about her leadership. Still, the Front national won 10.64 million votes, more than at any point in the history of the French fifth republic for an extreme right party. Turnout fell to just 74.5% (from 77.8% in the first round), and 11.5% of those who voted on Sunday cast blank ballots. 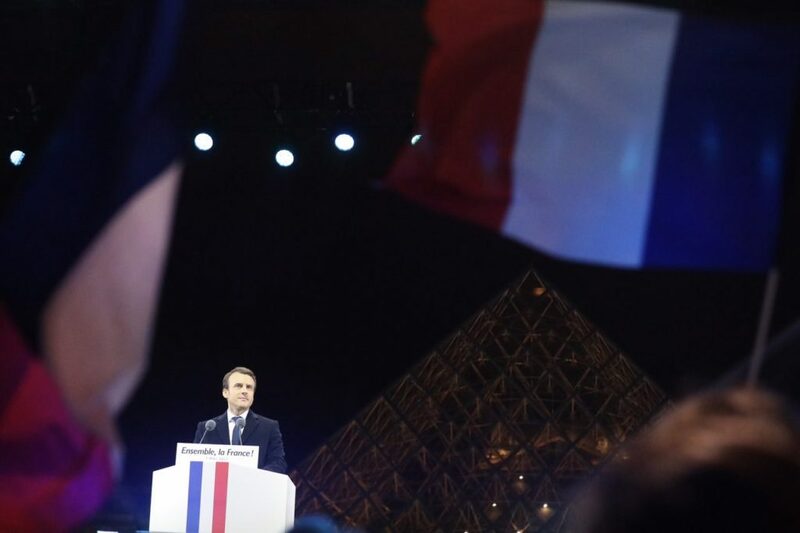 If the French electorate cast a decisive collective vote for Macron and his brand of centrist, technocratic, pro-European liberalism, there’s still a significant minority of the country that feels left behind. In contrast to the broad ‘Republican front’ that lined up in the 2002 runoff to endorse Jacques Chirac over Jean-Marie Le Pen, failed first-round candidate Nicolas Dupont-Aignan endorsed Le Pen, and she rewarded him by naming him as her presumptive prime minister. More ominously, far-left candidate Jean-Luc Mélenchon refused to endorse Macron (although he made clear he did not support Le Pen). If Macron fails over the next five years, Le Pen may have an opening to grow her support in 2022. But there’s just as much reason to believe that 2017 was Le Pen’s best opening to co-opt and replace the traditional Gaullist center-right. Meanwhile, as the nationalist threat recedes, Macron will now embark on the same mission that three prior presidents and their governments — Jacques Chirac, Nicolas Sarkozy and François Hollande — have failed to accomplish: reforms to liberalize the French economy, especially the labor market. If Macron succeeds, he will have opened France to more investment, more innovation and ultimately more jobs. In the meanwhile, nevertheless, reform could bring more rupture and do little to protect those working-class Le Pen supporters who could face even greater economic insecurity as Macron tries to restart the French economy, at least in the short-term. It’s not an easy task, and Macron could fail as Chirac, Sarkozy and Hollande all failed before him. But he’s at least realistic about the challenge and, unlike Sarkozy and Hollande, Macron didn’t campaign on any sweeping, unrealistic promises, throwing partisan red meat to conservatives (like Sarkozy) or to leftists (like Hollande). He’ll also face a growing threat of homegrown terrorism, an underclass of chiefly Muslim immigrants who, even two or three generations removed, feel alienated from French society. He’ll face a European Union in a crisis of imagination, as the euro continues to dampen the prospects of the region’s southern Mediterranean economies and as the 28-member bloc prepares to negotiate the British exit from the Union. Macron’s long solemn walk at the Louvre Sunday night to the tune of Beethoven’s ‘Ode to Joy,’ the EU anthem, was loaded with symbolism. But it will take more to breathe fresh life — and legitimacy — to a series of institutions in need of reform, too. Macron hopes to craft a full-throated EU-wide fiscal policy, though there’s little appetite for that in Germany, where officials are wary of sharing costs, and in Mediterranean Europe, where officials do not trust German and French leaders to set an appropriate fiscal policy. More immediately, however, Macron faces his first political test in just over a month, when French voters will once again go to the polls to elect the 577 members of the Assemblée nationale (National Assembly) in two rounds of voting on June 11 and June 18. It will not necessarily be a cakewalk for the young new president. On May 7, Macron won a mandate for pro-European, liberal democracy (as we’ve known it in the postwar era) against xenophobia and nationalism. That’s not exactly a mandate for Macron’s precise economic and policy program to reduce French debt, liberalize the French economy and invest even more fiscal controls at the European level. 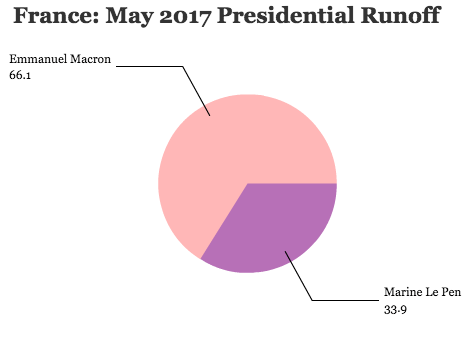 After a relative drought of polling data, three distinct polls were released in the last four days, and they show a three-way tie among Macron’s En marche, (22% to 26% of the vote), the Republicans (22% to 23%) and the Front national (20% to 22%). Hollande’s Parti socialiste (PS, Socialist Party) and their allies still win some support (11% to 13%), as does the Mélenchon-led Front du gauche (13% to 16%). For a lot of reasons, these numbers are not incredibly predictive for such an uncertain contest less than a month. For starters, support will vary widely across the 577 constituencies. Socialist strongholds in the southwest, Brittany and Paris might still return Socialist MPs or elect hard-left MPs. The Front national will run stronger in the far north and the southeast. Final results will depend on which candidates make it to the runoff and which candidates can form alliances (the top two candidates will make the runoff phase, along with any other candidate that wins more than 12.5% of the total registered voters in any constituency). Atriangulaire runoff among Republican, EM and Socialist (or other leftist) candidates, for instance, might favor the Republican by splitting the left-centrist vote; a triangulaire among the FN, Republican and En marche candidates could favor En marche by splitting the right-conservative vote. Perhaps we’ll see a record number of free-for-all quadrangulaires with runoff candidates from the top four parties. Furthermore, the most important piece of the puzzle is still unknown — who Macron will choose as prime minister and the heads of his initial ministries. Macron will be inaugurated next Sunday, May 14, and he will announce his new government at that time. But if En marche doesn’t win a majority in the June elections, that prime minister will essentially prove a lame-duck government. A choice from France’s center-right (like Édouard Philippe, the Havre mayor who is close to former foreign minister Alain Juppé) could dampen the enthusiasm of leftist voters. A choice from France’s center-left (like incumbent defense minister Jean-Yves Le Drian) could frighten center-right supporters. An absolutely centrist choice like Sylvie Goulard, an MEP and ally of centrist François Bayrou, could either draw or repel both right-leaning and left-leaning voters. Macron’s choices will require some tough balancing. By refusing to name a prime ministerial candidate during the presidential election, Macron avoided alienating voters in either camp. He will not have the same luxury in June. Moreover, En marche hasn’t even selected its slate of candidates, though hopes to announce them Thursday morning. While we know that Macron wants his movement to support a mix of newcomers and experienced politicians, we still don’t know how many leading Socialist (or even Republican) figures will leave their existing parties to rally to Macron’s movement. Perhaps figures like former prime minister Manuel Valls, on the left, or even Alain Juppé, on the right, will join forces with Macron; perhaps they will not. It’s too early to know. Although he was eliminated in the nomination contest last November, Sarkozy remains the most important figure behind the scenes on the center-right, and François Baroin, a former budget minister, will likely lead the Republican campaign in June. Freed from the stifling corruption and pending indictment of Fillon, their presidential candidate, the Republicans will run a far more competitive campaign, and they will boast both the experience and the funding that En marche lacks. If few Republicans defect this week to Macron, expect the party to rally in the ensuing four weeks.